I have talked about BlackBerry and how it’s trying to recuperate its place in the smartphone world. I’ve also mentioned that BlackBerry was planning on unveiling a phone which got back to the BlackBerry roots – and that means a physical keyboard. Well, we finally have it. The BlackBerry KEYone is a different looking phone than what you normally expect in 2017 since it has a 4.5 inch display with a physical keyboard. Now, there is a reason why it’s a different looking phone. And that reason is that BlackBerry made this phone for a very particular group of people. And I admire BlackBerry for that. The phone comes with a physical keyboard, as promised. But this time, BlackBerry didn’t try and “hybridize” 3 generations by putting touch, slide and a physical keyboard in 1 phone, as it did with the Priv. They had a simple objective and it was to remain true to the roots that gave BlackBerry its identity – Solid, No-nonsense and work-minded. And that’s exactly what this phone is about. The build is great, the speaker is loud, the Camera is wonderful (it’s the same sensor as the Pixel), the keyboard is great too, the buttons are tactile and responsive, fantastic battery too. I won’t get into the spec-sheet of things, because frankly speaking, if you’re wanting to buy a phone for specs, you already know this is not the phone for you. This is for the BlackBerry purists and the people in the corporate world who barely have time to check whether the Snapdragon 625 is the latest or not, which the phone comes with, by the way. Nor will they care too much about the thickness of the phone. All they will want to know is whether this solid chunk of metal gets the job done or not. And it does. The phone does have its quirks though. For example, because the keyboard functions as a trackpad, you will likely hit the capacitive buttons at the bottom of the touch screen. The speaker is loud, but there is only one of them, and it’s at the bottom. The keyboard is one of the headlines for this phone. But it’s crammed and for those who haven’t used a physical keyboard on their phones for a while, there is certainly a learning curve. Besides, there have been concerns that the 3 Gigabytes of RAM that the phone comes with might not be enough due to poor memory management and lack of optimization. But I have a strong feeling that the people who would want to buy this phone, will buy it regardless. That’s the reward for sticking to your roots and taking an identity crisis by the scruff of the neck. Other than that, the phone is a very good package. The software features are as well placed as the fingerprint sensor a.k.a. the space-bar. The Android version that is running on this phone is augmented, not overwhelmed. Going with a minimally customized version of Android was a great move by BlackBerry since they kept some of the BlackBerry-esque feel, but in the meantime, didn’t totally seclude its users from features of Vanilla Android. 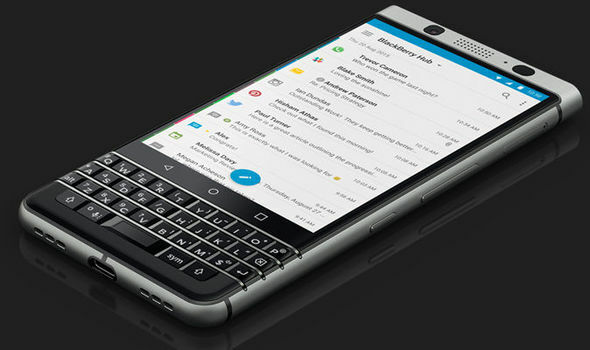 Don’t expect to see sales numbers skyrocketing because, again, this phone is not for everyone and BlackBerry knows that. Especially considering the near $600 price tag, it becomes a less lucrative option for the ordinary customer. BlackBerry with the KEYone, played the simplest card in its deck. And that, more often than not, has been the trump card of the tech world. I would like to thank MrMobile and Technobuffalo for the information used in this post.